Commercials are the launching pad for many acting careers. Not only are they typically the first agent and audition most actors have, but they are also an excellence source of income. Therefore, our Commercial Auditioning 1 class is our recommendation for beginning actors as well as working actors who need to develop the unique skills required for commercial auditions. WORK STUDY OPPORTUNITIES – Email Kimberly at kimberly@carolynebarry.com if you are interested in being a class assistant in exchange for a credit toward your tuition. Class assistants must be organized, have good communication skills, be familiar with QuickTime and have no known conflicts during their class’ scheduled dates. This unique workshop developed by Carolyne Barry is the most comprehensive available. The instructors teach the Carolyne Barry commercial audition technique which focuses on developing each actor’s acting skills and on-camera commercial persona. This valuable program features one-on-one, on camera instruction in: Commercial Monologues, Scenes, Interviews, Product Handling, Improv and Cue Cards. Each week, students take home their classwork on flash drives. This workshop was designed by Carolyne Barry for the experienced actor. We focus on developing the actor’s commercial skills as well as introducing them to strong techniques that improve auditions and make them competitive. Students work with Kimberly on one- and two-person scenes (using techniques only taught by Carolyne), handling products and props, improv, interviews and mastering cue cards. We also work on self-taping skills. The final class focuses on professional guidance regarding headshots, resumes, agents and contracts. On-camera each night, with students taking their classwork home on flash drives. 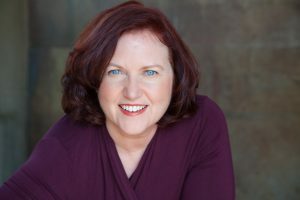 In this transformational workshop for the advanced/ professional, Kimberly Jürgen specializes in defining each actor’s unique commercial personality and teaches a strong technique that is instantly performable, based on techniques developed by Carolyne Barry. Kimberly was trained by Carolyne Barry, who was known to be the toughest and most thorough teacher working. Only the serious actor need apply. Extensive homework each week. Our ongoing commercial workouts are designed for actors who have completed a Commercial class at CBAA and need a challenging workout to keep their skills fine-tuned. Applying the techniques developed by Carolyne Barry, we work with students on-camera, practicing various types of commercial auditions. Each student’s work is also recorded on personal flash drives. You’ll discover innovative commercial audition techniques as well as gain a deeper understanding of the commercial industry and how you fit into it. We will share tips to help you succeed with your commercial auditions. Several volunteers will receive on-the-spot coaching. Seminar will be led by CBAA owner and teacher, Kimberly Jürgen. Seating is on a first-come basis. Free parking.